The last thing that most people think about when renting U-Haul vehicle is how devastating a U-Haul accident can be and the responsibility involved in getting behind the wheel of a large truck. 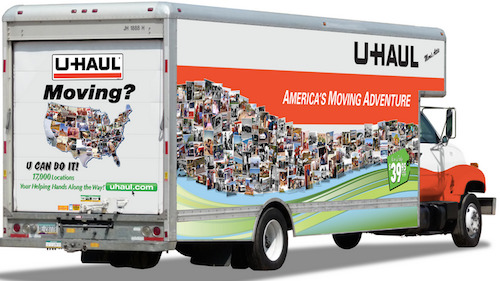 U-Haul cannot be excused, however, as it often rents out vehicles that should never leave its lots. The Chicago trucking accident attorneys of Rosenfeld Injury Lawyers LLC seek just and fair compensation on behalf of the victims of these tragic accidents. We can maximize the compensation clients receive by identifying the involvement of each party and directing litigation at those who are truly responsible. Depending on the needs of the person renting, U-Haul has made many kinds of vans, trucks, and trailers available to those seeking to make a move across town or to another state. Most drivers have no experience driving large trucks, or towing trailers and inexperience is one of the contributing factors to rental truck accidents. The most common types of U-Haul accidents include the following. Loss of trailer control. Because many drivers have little to no experience towing a trailer, they are not able to make the needed corrections when a rented trailer begins to sway or lose control. Runaway trailer and trailer sway accidents can result. Blind spot collisions. There is an incredible difference in the blind spots most drivers are used to when considering the blind spots of large trucks. Inexperienced drivers that do not notice vehicles in their blind spots can cause multivehicle accidents when moving into an occupied lane in heavy traffic. Truck rollover. The center of gravity of a large truck is much higher, making it much more prone to roll over when drivers make sudden movements or attempt to take curves at excessive speeds. Rollover accidents can result in catastrophic injuries. Cargo shift. Most commercial trucks carry loads that are distributed evenly to prevent the loss of trailer control or accidents that can result from cargo shift. They must even check in to weight stations to ensure that trailers are not overloaded or unevenly loaded. Private truck renters are not subject to these requirements and may load their trucks unevenly, resulting in an uneven load that can become the catalyst to an accident. Inexperienced drivers can cause and contribute to the cause of U-Haul accidents, but they are not the sole factor under consideration when our Chicago trucking accident lawyers consider a case. The common causes of rental truck accidents include, but are not limited to the following. Driver negligence or reckless behavior. Speeding, distracted driving, failure to obey traffic laws and substance abuse are all important factors to consider and which lay the blame exclusively on the driver for an accident. Improperly maintained vehicles. U-Haul has been known to rent vehicles to customers that have inadequate or nonexistent service records. When brakes, tires and other critical equipment is not maintained or repaired, it can be the cause or primary contributing factor in an accident. Failure to perform routine inspections on vehicles. Not only does U-Haul have a history of poor vehicle maintenance, but vehicles are regularly rented out that have not been inspected for potential safety concerns. This lousy history shows a complete disregard for the safety of the renter and others on the road. Defective equipment and truck design. Sometimes, it is the truck or parts manufacturers who are to blame for an equipment failure that results in an accident. When this is the case, the manufacturer can share liability with the other parties found at fault. Rosenfeld Injury Lawyers LLC is the most trusted truck accident law firm in Illinois, and we have a proven track record of securing the maximum compensation allowed by law for our clients. If you have been injured in a U-Haul trucking accident, contact us today to learn more about your rights and to schedule a risk-free consultation so that we can get to work on your behalf immediately. Once we have reviewed the details of your case, we can let you know what steps to take to take your recovery back into your own hands by securing the compensation needed to pay for your medical bills, out of pocket expenses, lost wages and other financial losses. Our attorneys only receive payment upon successfully securing compensation on your behalf, and if we are unable to win your case or obtain an out of court settlement on your behalf, our services will be free of charge.